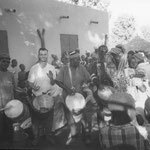 I have apprenticed to master jembe drummers in Mali since 1991, during about a dozen stays totalling some two and a half years. 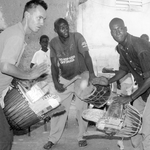 My apprenticeship mostly involved performing the role of accompanist (second jembe or, less frequently, second dunun) at about 200 drum-dance celebrations, on occasions such as weddings and spirit possession ceremonies in Bamako or Islamic holidays and communal peasant work in the rural area south of the capital (Manden). 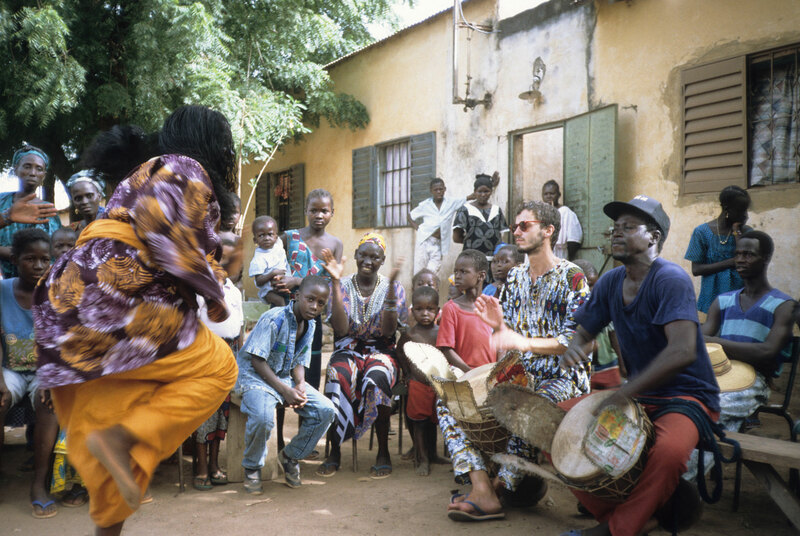 Even when focusing on audio-visual documentation in some of my more short-term projects, trying to acquire at least basic performance skills turned out a worthwhile approach to access the local musicians and provided fundamental insights into Malian musical practice. 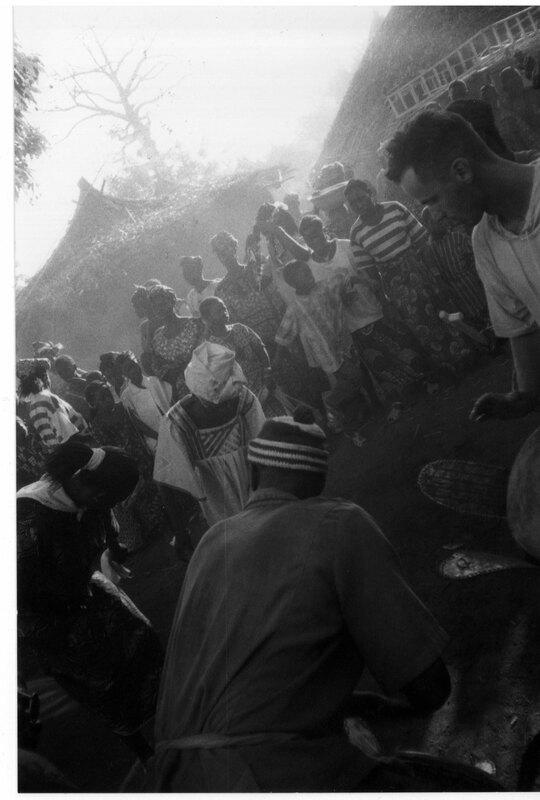 I have used my immersion into the life-world of musicians as a radically participatory form of participant observation, that is, as a research method. 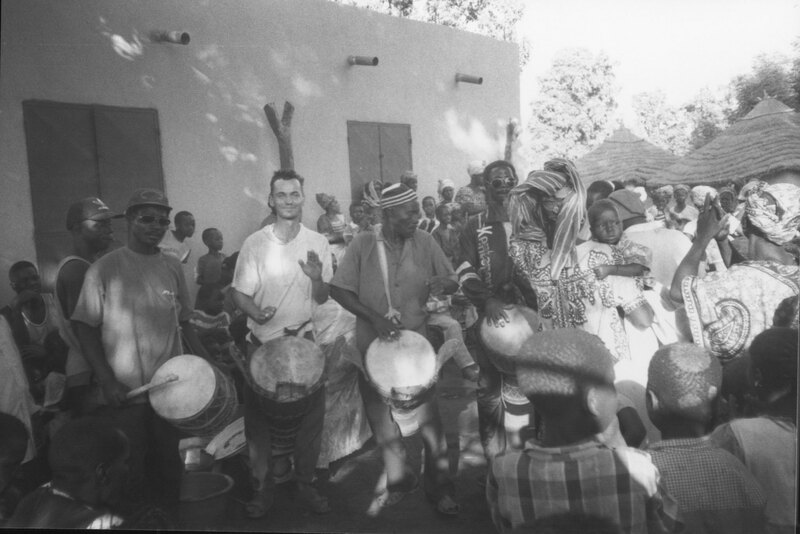 It goes without saying, however, that learning from, and making music together with, Malian drummers has been a deeply rewarding experience in more than one respect. 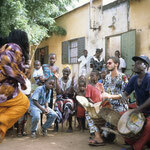 In parallel to my academic work, I have taught Malian jembe music to adults since the mid-1990s. From 2004 I have specialized in the professional development of jembe players in the German-speaking countries. In 2006, I organized and co-directed a summer academy for jembe players at CODARTS Rotterdam and from 2012 to 2016 taught jembe ensemble practice at the Cologne University for Music and Dance. 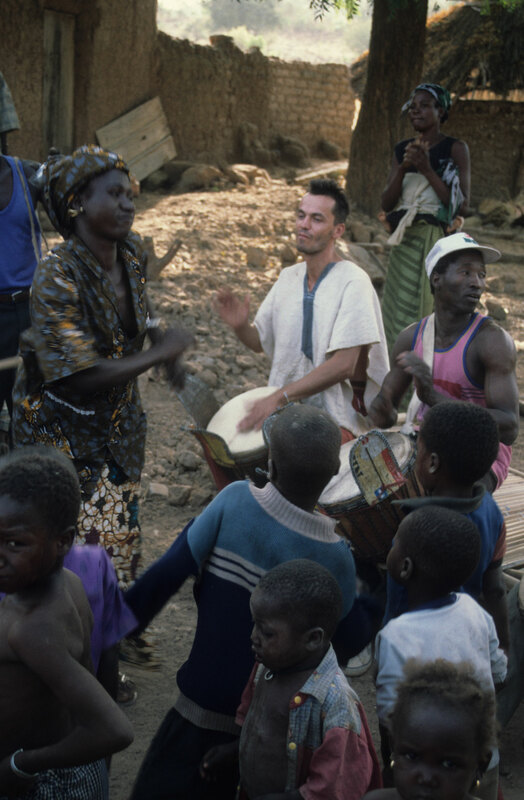 Next to teaching, I have organized and participated as ensemble member in concert and workshop tours of musicians from Mali, Burkina Faso, and the Ivory Coast. 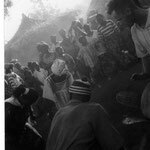 Sporadically, I have performed in cross-over bands and directed chamber-jembe projects; listen to some of the latter below. 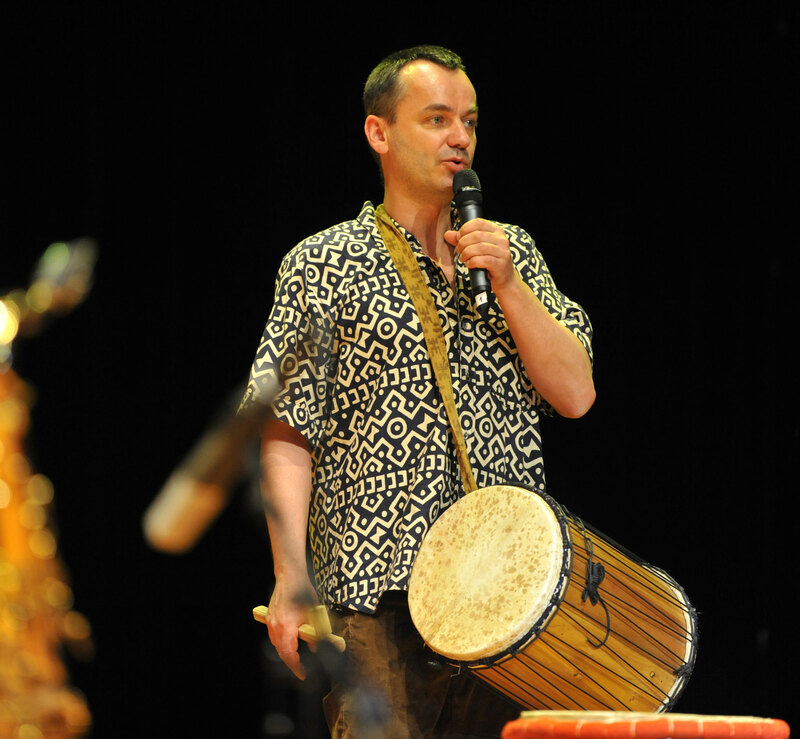 Rainer Polak and Juerg Wohlwender play Bamako jembe repertoire (Bayreuth 2008). I am on jembe in kirin, jina-2, dansa, and sunun, and on kònkònin (dundun) in jina-1. 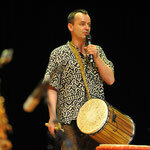 Juerg makes the jembe speak in jina-1 and hits the kònkònin in the other tracks. The masters to whom I have apprenticed owe my deepest respect, namely, jembe players Jeli Madi Kuyate (b. 1947), Jaraba Jakite (1954–2005), Yamadu Dunbia (1917 –2002), Namakan Keita (b. 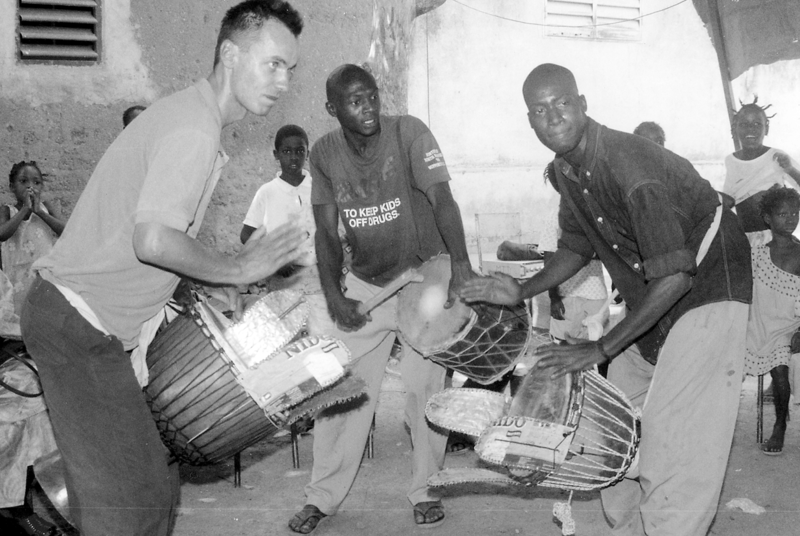 1966), Sedu Balo (1960–2013), and Drissa Kone (b. 1960). Finally, respect and a big thank you to my friend and research assistant since 1991, kònkònin (dundun) player Madu Jakite. 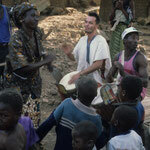 Aw ni ce, as they say in Bamana: "you and the work"!